There are some points where federal law intersects with or affects the economic consequences of pending or finalized divorces. Recently one of those point of intersection was the topic of conversation of a prospective client. Her concern I am sure are shared by many. The question dealt with Social Security and how one computes the 10 year requirement for derivative benefits. Under Sec. 202 [42 U. S. C. sec. 402] The spouse and every divorced spouse (who has been married for 10 or more years) of an individual who is entitled to old age benefits is entitled to share in those based on certain criteria. The question is how the ten year period is computed for purposes of section 202. That answer is found in Section 216(d) and in the Social Security Program Operations Manual RS 00202.05 entitled “Divorced Spouses”. To quality for benefits, one must be divorced from one’s spouse and the marriage must have endured for ten years prior to the divorce. 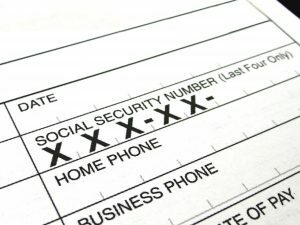 Although New Jersey terminated for most purposes the accrual of spousal rights upon the filing of a Complaint for Divorce, that cut off date has nothing to do with the accrual of Social Security rights as these are dictated by federal law. Under federal law the ten year period begins to run on the day of a valid marriage and ends on the day the divorce is final (not the date that the divorce complaint is filed) which is usually the day the court grants the divorce. In computing the ten year period, the marriage could be interrupted by a divorce so long as the time in the first marriage and the second marriage together add up to ten years. It should be noted that if one is independently entitled to receive benefits as a divorced spouse, as outlined above, that person is not entitled to benefits unless the divorce is at least two years old at the time benefits commence. Remember the measuring age for derivative benefits is the age of the worker spouse who must be at least 62 years old to obtain benefits. The Independently Entitled Spouse can not claim those benefits until two years after the judgment of divorce. So if one is divorced in June of 2012 having been married in May of 2002, the first payable benefit would be in July 2014. It should be noted that Social Security benefits are not subject to equitable distribution in a divorce. Under N.J.S.A 2A:34-23, there is a presumption that alimony will end when the obligor spouse reaches full retirement age, so it is unlikely that old age Social Security rights will be shared as an aspect of support. For those who have filed for divorce with a marriage just short of ten years of duration, it may makes sense to hold off finalizing the divorce until the ten years have run.